Avast ye! 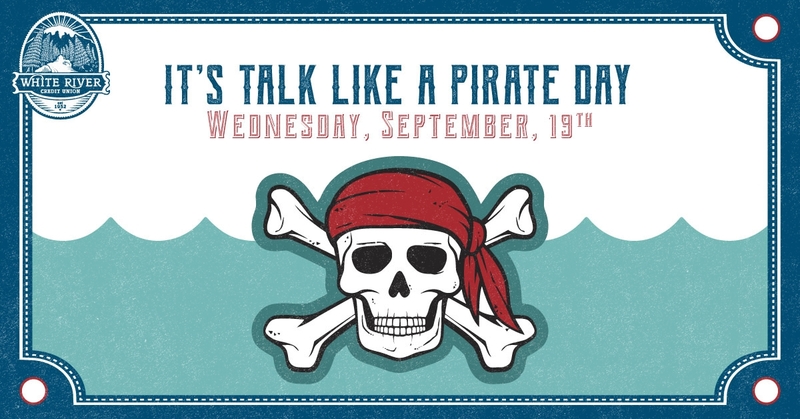 Grab yer puffy pirate shirts ‘n wave yer Jolly Roger fer “Talk Like a Pirate Day!” It’s more interestin’ here so we be featurin’ Pirate Day auto loans fer new ‘n used vehicles as low as 2.49% APR/OAC*. Come on by or claim yer bounty wit’ 24/7 loan approvals through our mobile-friendly online application. We be havin’ crafts table fer wee ones too! Fine print: *Annual Percentage Rate | On Approved Credit. Qualifications – new or used vehicles, internal financing only (no indirect). Restrictions may apply.